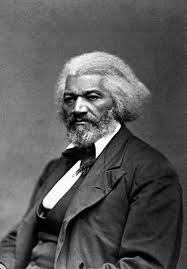 On July 4, 1852, eleven years before the Emancipation Proclamation and 13 years before the abolition of slavery, Frederick Douglass, a former slave and leading abolitionist was invited to deliver an address in 1852. The ironic power of Douglass’ words still ring true, 170 years later. While his subject is the plight of the African slave, let us consider the contemporary relevance of his words for the millions of persons disenfranchised by the “American Dream” today: undocumented immigrants, homeless persons, and the countless poor whose needs remain invisible on the national scene. Douglass speaks for them as he did for the slaves in 1852. What follows are excerpts of the speech. little experience I have had in addressing public meetings, in country school houses, avails me nothing on the present occasion. The fact is, ladies and gentlemen, the distance between this platform and the slave plantation, from which I escaped, is considerable – and the difficulties to be overcome in getting from the latter to the former, are by no means slight. That I am here to-day is, to me, a matter of astonishment as well as of gratitude. You will not, therefore, be surprised, if in what I have to say. I evince no elaborate preparation, nor grace my speech with any high sounding exordium. With little experience and with less learning, I have been able to throw my thoughts hastily and imperfectly together; and trusting to your patient and generous indulgence, I will proceed to lay them before you. This, for the purpose of this celebration, is the 4th of July. It is the birthday of your National Independence, and of your political freedom. This, to you, is what the Passover was to the emancipated people of God. It carries your minds back to the day, and to the act of your great deliverance; and to the signs, and to the wonders, associated with that act, and that day. national life; and reminds you that the Republic of America is now 76 years old. Would to God, both for your sakes and ours, that an affirmative answer could be truthfully returned to these questions! Then would my task be light, and my burden easy and delightful. For who is there so cold, that a nation’s sympathy could not warm him? But, such is not the state of the case. I say it with a sad sense of the disparity between us. I am not included within the pale of this glorious anniversary! Your high independence only reveals the immeasurable distance between us. The blessings in which you, this day, rejoice, are not enjoyed in common. The rich inheritance of justice, liberty, prosperity and independence, bequeathed by your fathers, is shared by you, not by me. The sunlight that brought life and healing to you, has brought stripes and death to me. This Fourth [of] July is yours, not mine. You may rejoice, I must mourn. To drag a man in fetters into the grand illuminated temple of liberty, and call upon him to join you in joyous anthems, were inhuman mockery and sacrilegious irony. Do you mean, citizens, to mock me, by asking me to speak to-day? If so, there is a parallel to your conduct. And let me warn you that it is dangerous to copy the example of a nation whose crimes, lowering up to heaven, were thrown down by the breath of the Almighty, burying that nation in irrecoverable ruin! I can to-day take up the plaintive lament of a peeled and woe-smitten people! Fellow-citizens; above your national, tumultous joy, I hear the mournful wail of millions! whose chains, heavy and grievous yesterday, are, to-day, rendered more intolerable by the jubilee shouts that reach them. If I do forget, if I do not faithfully remember those bleeding children of sorrow this day, “may my right hand forget her cunning, and may my tongue cleave to the roof of my mouth!” To forget them, to pass lightly over their wrongs, and to chime in with the popular theme, would be treason most scandalous and shocking, and would make me a reproach before God and the world. My subject, then fellow-citizens, is AMERICAN SLAVERY. I shall see, this day, and its popular characteristics, from the slave’s point of view. Standing, there, identified with the American bondman, making his wrongs mine, I do not hesitate to declare, with all my soul, that the character and conduct of this nation never looked blacker to me than on this 4th of July! What, to the American slave, is your 4th of July? I answer: a day that reveals to him, more than all other days in the year, the gross injustice and cruelly to which he is the constant victim. To him, your celebration is a sham; your boasted liberty, an unholy license; your national greatness, swelling vanity; your sounds of rejoicing are empty and heartless; your denunciations of tyrants, brass fronted impudence; your shouts of liberty and equality, hollow mockery; your prayers and hymns, your sermons and thanksgivings, with all your religious parade, and solemnity, are, to him, mere bombast, fraud, deception, impiety, and hypocrisy – a thin veil to cover up crimes which would disgrace a nation of savages. nation, and you will say with me, that, for revolting barbarity and shameless hypocrisy, America reigns without a rival. Allow me to say, in conclusion, notwithstanding the dark picture I have this day presented of the state of the nation, I do not despair of this country. There are forces in operation, which must inevitably work The downfall of slavery. “The arm of the Lord is not shortened,” and the doom of slavery is certain. I, therefore, leave off where I began, with hope. While drawing encouragement from the Declaration of Independence, the great principles it contains, and the genius of American Institutions, my spirit is also cheered by the obvious tendencies of the age.